How To Buy The Best New Car - Which? Buying a new car doesn’t have to be complicated. Our five key steps explain what you need to know about buying a new car. Shopping for a brand new car can – and should – be an enjoyable and exciting experience. If you don’t mind waiting for the factory to build it, it’s your chance to tailor your new car to your exact tastes, choosing everything from the seat fabric and colour of the paint to the type of engine and gearbox. You might not have to wait, either: dealers often pre-order cars in popular colours and trim levels, so you’re able to drive away just as soon as the deal is done and the car has its number plates. 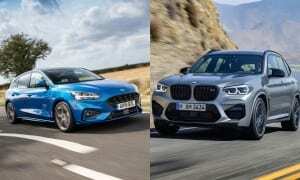 But, with thousands of pounds at stake, you want to be sure you’re choosing the right car in the right specification, and getting it for a good price. This guide sets out the five key steps to ensure you do just that. Want to just start browsing the best cars you can buy? Take a look at all our new car reviews. Even if you think you know what kind of car you’d like to buy, it’s still worth considering your requirements – you may find that the car you want and the car you need aren’t quite the same thing. 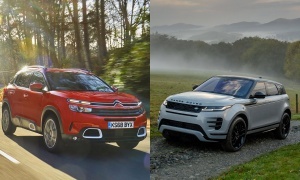 For example, while you may like the looks or high driving position of a 4x4/SUV, all-wheel-drive is rarely necessary in the UK unless you live in a remote rural area or regularly go off-road. Although if you do want a 4x4, then we've got you covered - see our round-up of the best suvs and 4x4s. While you may like the idea of buying a car from a ‘premium’ brand such as BMW or Lexus, you may find you can get all the refinement and features you need from a more mainstream brand – and at a lower price. We recommend you write a list that prioritises what you want and need a new car to do – and that should include an idea of how much you’re willing (and able) to pay. It's also worth considering where you're going to be spending most of your time driving, to assess whether a hybrid or electric car could lower your running costs. We reveal the best electric cars. Cars are expensive – quite likely the most expensive thing you’ll buy aside from a property. So it’s vital you don’t spend over the odds, or over-extend your finances. Make an honest assessment of your available budget, bearing in mind that although a finance deal may make a car more affordable in the short-term, paying up-front is often the cheapest way to buy one in the long run. 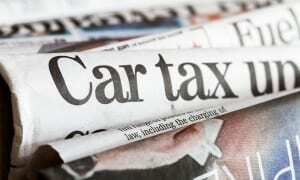 Read our car finance explained guide for more detail. As well as the initial purchase price, remember to factor in ongoing costs such as fuel, car tax, car insurance, servicing and depreciation (more on this below). Then compare like-for-like with pay-monthly finance deals, as they may include some of these costs. All of our expert, impartial car reviews include realistic fuel economy figures taken from our rigorous tests, so you can use these with our petrol vs diesel fuel calculator to work out your annual fuel costs. Once you’ve narrowed down what you need the car to do – and any other criteria, such as looks or brand – it’s time to start researching the most suitable models available in your price range. A good first step is to read our in-depth new and used car reviews. You can filter these according to starting price, brand, and all sorts of features, from fuel type to car class. In our reviews, you can also find out if the car you're interested in is likely to last. Thanks to our annual survey of thousands of car owners, we can know which cars are the most - and least - reliable. Done your homework? Good. Now you can compile your shortlist of cars you’re most interested in. Then your next step is to contact local dealers to book in some test drives. Some brands offer 24-hour or weekend-long test drives, so don't be fobbed off with a 10-minute spin round the block. A car that looks good on paper won’t be if you can’t easily get in or out of it, or you don’t like the way it feels to drive. We rate every car we test on how smoothly it drives, how well it accelerates and we run repeat tests of braking from 62mph to standstill. This allows us to see if braking distance is consistent and doesn't increase with repeat runs. Use our car reviews to make sure you don't waste your time test driving models that will be a pain to drive. Which means you can use our car reviews to make sure you don't waste your time on a model that will be a pain to drive. Before you start test-driving, though, don’t forget to consider depreciation – this is where the value of a car drops as it gets older. This is usually unavoidable unless you’re buying a sought-after classic. In simple terms, the longer you keep a car, the less it will be worth if you sold it – and some cars depreciate much faster than others. Depreciation is a major cost when buying a new car. Whichever car you choose, depreciation is likely to account for more than half of your running costs over the first three years – but it’s irrelevant if you keep your car until it wears out. However if, like most people, you’re likely to want a new car before your old one is ready for the scrapyard, try to buy a model that depreciates slowly. Unfortunately, there is no hard and fast rule about depreciation – it can affect expensive models from premium brands just as much as a cheap car from a mainstream brand, and the sums involved – the amount you ‘lose’ – can be much higher. As a general guide, it's worth specifying a car in a desirable specification, with choice options. This will vary from model to model. But a car in a neutral colour, for instance, will normally be much easier to sell (and command a slightly better price) than one in an attention-grabbing hue. Keyless cars can be at risk of theft from 'relay boxes', which are used to lengthen the signal produced by the key, fooling the car into thinking it's close by. Thieves can then open and start your car. If a car you're interested comes with keyless entry, or it's bundled in with an option you want, ask the dealer what the manufacturer is doing to combat relay attacks. BMW and Mercedes, for instance, have added motion sensors into their key fobs. So the key won't produce a signal if it isn't moving - such as when you've at home. Mazda lets you get the keyless function deactivated for free. While you may be more familiar – and comfortable – with the idea of visiting your local dealer to buy a car, it’s now possible to buy a new (or used) model entirely online or over the phone. There are pros and cons to both buying in-person and remotely, so we recommend you read our guide to where to buy a car to help you decide what’s best for you. The right way to pay will also depend greatly on your circumstances and the deals on offer at the time of purchase. To learn more about payment and ownership options – leasing (renting) a car is increasingly popular and affordable – take a look at our guide to car finance explained. Some dealers and brokers sell ‘pre-registered’ cars, which are often attractively priced with discounts of as much as 30%. Some dealers and brokers sell 'pre-registered' cars. These are often well-priced with discounts of as much as 30%. However, buying a pre-registered model could mean a shorter warranty - the warranty it starts as soon as the car is officially registered, which could be months before you buy the car. You’ll technically be the second owner, as the dealer who registered the car will be the first. Step 5: Shop around and haggle hard! A key advantage of online (or phone) car buying is the ability to compare prices from dealers all over the country without necessarily having to haggle with them yourself. Depending on the car-buying service or broker you contact, they will have either pre-negotiated discounts from dealers, or will do it on your behalf once you’ve told them what car you’re after. Even if you’d rather buy locally, do collect quotes from several sources as prices vary enormously across the country. You may find your local dealer will match or beat a price to secure a sale. If you are buying in person at a dealer, go well-prepared. That means knowing (ideally) the exact model, trim level, engine-specification and options you’d like, and how much you should be paying. And remember: the price you see in the brochure (or stuck to the windscreen), should be viewed as a starting point for a negotiation with the salesperson. The sales team nearly always has some room to manoeuvre on price, so push hard for a discount. If they don’t offer one (or some sort of other incentive, such as free servicing or desirable optional extras) be prepared to walk away – there’s always another way to buy your perfect new car. To learn more about haggling, including examples of what to say to maximise your chances of getting a discount, read our expert guide on how to get the best price on a car. Ready to start car shopping? Head to our round-up of Best Buy cars to see the models that excelled in our rigorous tests. You could also check out our Don't Buy cars, to see which models you should avoid.